On tap at Poor Henry’s, nebulous cinnamon chocolate-fudged stout with ancho peppering ain’t bad, but it’s not clearly defined flavor-wise. Even its bitter vanilla spell lasts too short. And the nut-charred dark chocolate finish lacks cinnamon spicing. 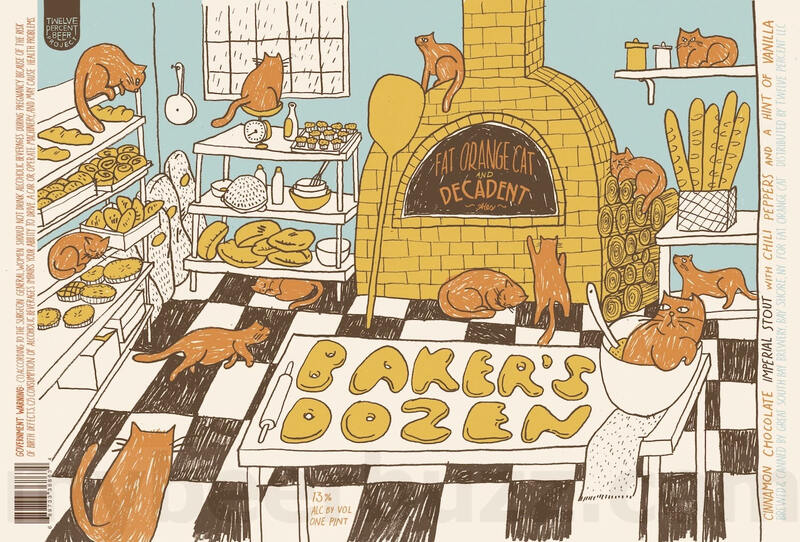 Only likable, despite lovely cat bakery label. On tap at Ambulance, lightly soured lemondrop-hopped farmhouse ale sweetens its white-peppered herbage and dry barnyard musk with honeyed banana-clove pleasantries. On tap at Poor Henry’s, pureed blood orange adjunct lightly affects New England-styled IPA. Bitter Mosiac-hopped lemony grapefruit sharpness overrides blood orange tartness as timid wood lacquering provides musky counterpoint to delicately creamed vanilla froth. On tap at Poor Henry’s, bitter black-malted dark roast graining and cocoa-powdered dark chocolate insistence gain humble raspberry tartness. Ashen wood-charred nuttiness deepens its bitter pungency. For heartier dark ale lovers. On tap at Poor Henry’s, winning New England-styled IPA brings semi-complex mango-soured orange peel bittering to the fore as tropical passionfruit, guava and peach illusions gain wispy piney hop bittering, floral-daubed herbal notions and light lemon twist.